The F-15 Eagle is an all-weather, extremely maneuverable, tactical fighter designed to permit the U.S. Air Force (USAF) to gain and maintain air supremacy over the battlefield. 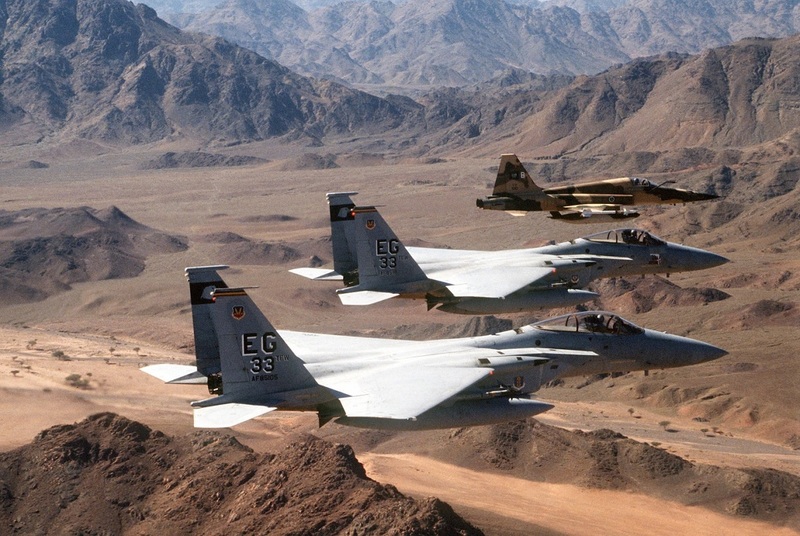 F-15C and D models were deployed to the Persian Gulf in 1991 in support of Operation Desert Storm (ODS) where they proved their superior combat capability. 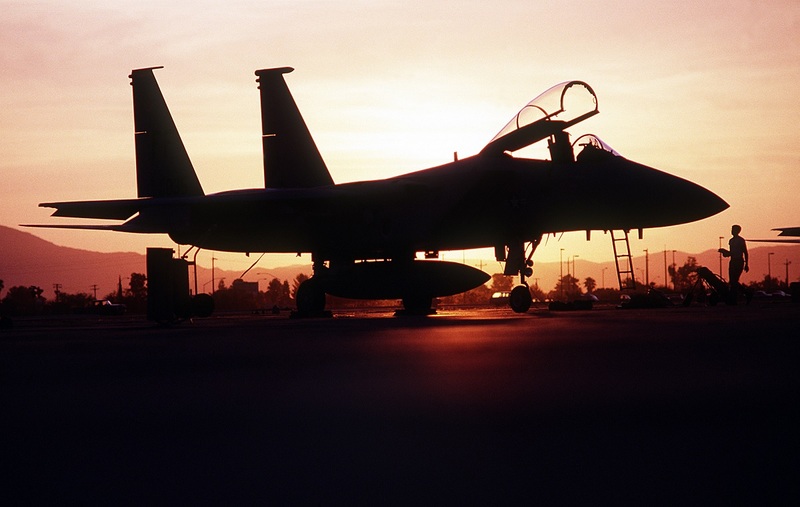 The F-15C fighters in fact accounted for 34 of the 37 USAF air-to-air victories. In August 1990, when Iraq invaded Kuwait to annex the country’s rich oil reserves, President George H. W. Bush ordered ground, sea and air forces to Southwest Asia to stabilize the region and persuade Saddam Hussein to withdraw his invasion force. Lt. Col. William Thiel, commander of the then 58th Tactical Fighter Squadron (TFS), was notified shortly after the invasion that his unit was tasked to deploy. 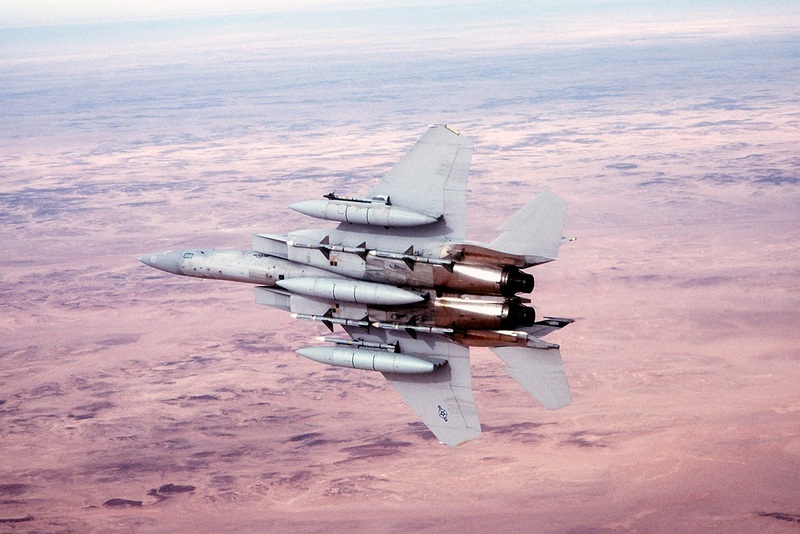 ‘Nomads’ of the then 33rd Tactical Fighter Wing (TFW) began flying Operation Desert Shield missions in late August from northwest Saudi Arabia with 769 personnel and 24 F-15C Eagles. During this operation, Airmen familiarized themselves with desert terrain and participated in joint training with aircrews from the U.S. Navy and the Royal Saudi Air Force. The United States’ objective was to bring the invasion and occupation of Kuwait by Iraq to an end and to restore the sovereignty, independence and territorial integrity of Kuwait, according to Security Council Resolution 661. Thiel said the 58th TFS had completed two combat training exercises – Red Flag in Las Vegas and Maple Leaf in Canada – before they deployed, which simulated war time air tactics. “[Deploying] was a bit scary because you’re always worried about a lot of things but we were very well prepared,” said Thiel. At midnight on Jan. 17, 1991, the Nomads launched into Operation Desert Storm with a surprise attack over Baghdad. Their mission was to clear the skies of enemy aircraft over Bagdad and open a “corridor” for a second force to strike. During the first strike, Capt. Jon Kelk, 58th TFS pilot, earned the first aerial kill of the war destroying a MiG-29 twin-engine fighter jet with an AIM-7 Sparrow medium-range air-to-air missile. Shortly thereafter, Capt. Robert Graeter, 58th TFS pilot, shot down two Iraqi Dassault Mirage F1‘s for the second and third kills of the war. Later that day, Capt. Rhory Draeger, 58th TFS pilot, and Capt. Charles Magill, U.S. Marine Corps exchange officer with the 33rd, intercepted and destroyed two MiG-29’s west of Baghdad. In a post deployment interview with Air Force Public Affairs, Capt. Larry Pitts, 58th TFS pilot, who flew in these missions, said he and other aircrew members were greeted with relief and excitement by their comrades after the first sortie. Nomads continued to make an impact during the war until Feb. 27, 1991, when President Bush issued the cease-fire order. On March 3, the Gulf War ended. The 58th TFS had the greatest number of aerial victories in one squadron, 12, and the most pilots with multiple victories in one squadron, four. They flew over 1,182 sorties and logged over 7,000 combat hours in direct support of the U.S. objectives. But for Thiel, the most memorable part of the war was bringing home the same number of people and airplanes they deployed with -no fatalities. 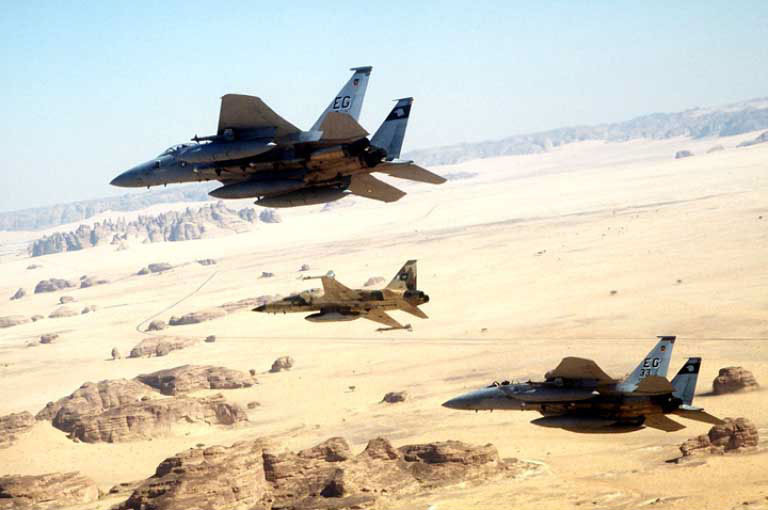 Nomads have a heritage of air dominance, none more notable than their actions in Operations Desert Shield and Desert Storm where they secured the first aerial victories of the Gulf War.